Andalucía’s enduring appeal is easy to understand. The region conjures up every Spanish cliché: the flouncy swirl of a wrist-flicked flamenco skirt, the heady sip of barrel-aged sherry, the riotous outburst of a fiesta. This is the home of Seville’s sunbaked patios, Granada’s red-tinged Alhambra, and the gorge-poised city of Ronda. Yet elbowing your way to see the region’s must-visit sights isn’t for everyone. Look a little further and you’ll discover a wealth of hidden highlights that are blissfully crowd-free. From barely touched beaches and white-washed hilltop hideaways, to a food revolution in the making, here’s our pick of the best off-beat things to do in Andalucía. 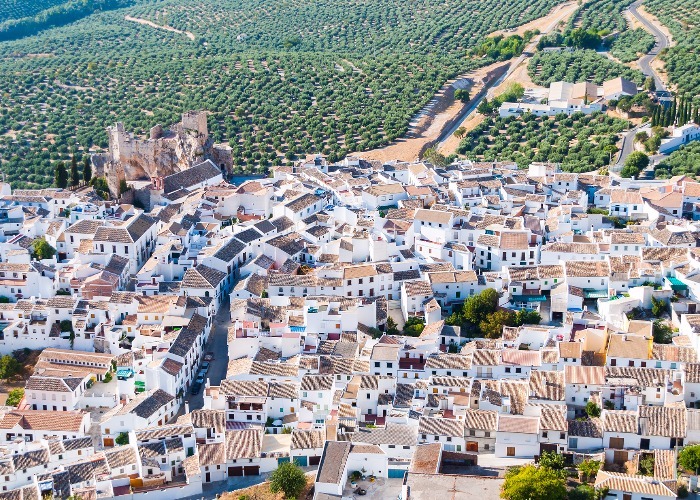 Andalucía is famous for its ancient architectural wonders: Seville’s enchanting Alcazar, Granada’s mountain-topped Alhambra, the dizzying arches of Córdoba’s Mezquita. But it’s also right on the pulse of modern art and architecture. Leading the charge is Málaga, which has transformed from a once-drab airport hub, into a sleek centre for Spanish culture. The millions of euros that have been pumped into the city’s art scene are now being presented in an impressive array of offerings. 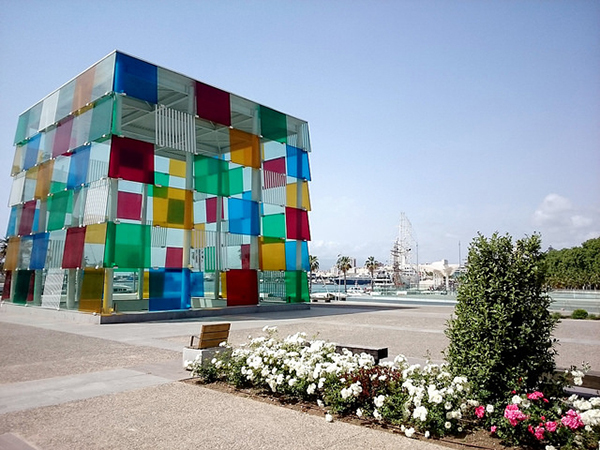 Stealing the show is the pop-up Pompidou, which has settled into a striking waterfront building topped with a multi-coloured glass cube. On loan for five years, the collection houses works from big-names such as Frieda Khalo and Pablo Picasso. Another foreign foray, the State Russia Museum Collection is calling an old tobacco factory home for 10 years. Meanwhile, the up-and-coming SOHO district has been transformed into an open-air street-art canvas­. The crowds may flock to Ronda, yet there are plenty of other spectacularly sited Andalucían villages to explore. Aim for Zuheros, an almost quintessential pueblo blanco. Here beneath a castle that is partly carved out of rock, a scattering of white houses spills down the steep limestone cliffs. 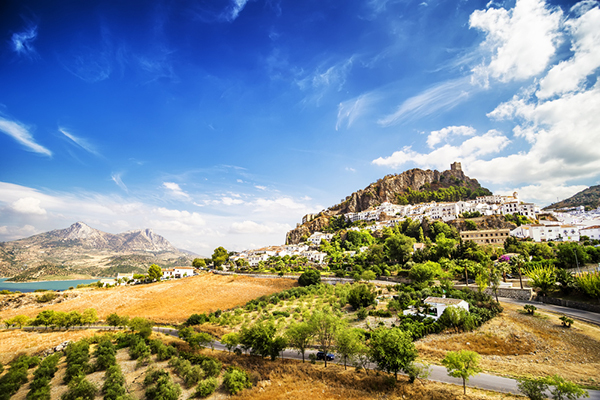 Set in Cazorla Natural Park, Segura de la Sierra is another enviously scenic settlement. Set high above olive groves, the village is a warren of narrow streets – a hallmark of its Moorish past – that precariously stack up the castle-topped hill. Zahara de la Sierra, is a striking fortified hill pueblo. At its heart is an enchanting orange-tree-lined main street that runs between two old churches, all of which lies beneath the looming ruins of a 12th-century Moorish castle. While Spain has become well-accustomed to headline grabbing restaurants, Andalucía has long lagged behind the likes of Catalonia and the Basque country in the foodie stakes. The tide is turning though, as the home of tapas is now increasingly taking pride in its cuisine. A number of gastro-markets have sprung up in Andalucía, kicked off by Córdoba’s Mercado Victoria. This converted 19th-century wrought-iron pavilion is the place to head for classics such as jamón ibérico, as well as other oysters and Argentinian steak. In fact, Córdoba as a city has been undergoing a mini food revolution, helped by the likes of the Kisko García’s Michelin-starred restaurant Choco. Across the region, Garcia – the “new Andaluz” cuisine flag-bearer­ – has been joined by a whole host of famous chefs, from Marbella’s Dani García to Ángel León in Puerto de Santa Maria. And in Seville, one man is taking care of the sweeter side of things. For over 20 years, ice-cream maestro Joaquín Lira has been creating flavours that capture the identity of Spain. Available to taste in his Seville-based shop Heladería la Fiorentina, the crema de flor de azahar distils the scent of Seville’s springtime orange blossom, while a vinegar-infused ice cream recreates the smell of walking through a bodega. There’s more to Andalucía’s Moorish heritage than the grand monuments, labyrinthine narrow streets and ruined Moorish castles. 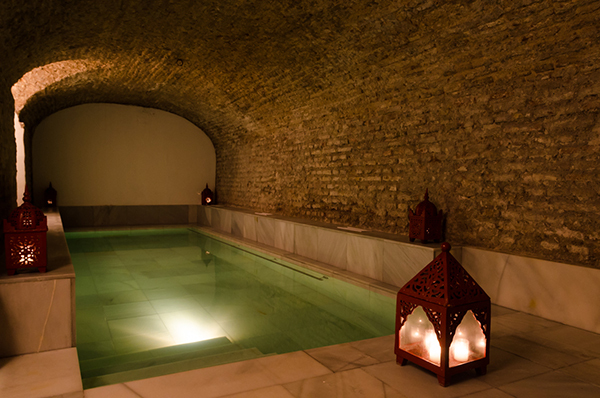 One of the most enjoyable ways to immerse yourself in Moorish culture is with a traditional hammam. Spend a few hours wallowing in the semi-darkness of the Hammam Al Ándalus baths, alternating between hot, cool and icy pools, interspersed with sips of mint tea. Granada boasts the oldest Arabic bath in Spain, but you can also enjoy the experience in Málaga, and in Córdoba, where daylight seeps down to the pool through stars that have been carved into the domed ceiling. Another way to get a taste of this heritage is by visiting one of the regions teterías (Moroccan tea-houses). You’ll find many of these crammed into the maze-like streets of Granada’s Albaicín. Duck into one of the shisha-hazed teterías on Calderería Nueva or Calderería Vieja, to sip mint tea and tuck into sticky-sweet delicacies. With more than 600 miles of coastline, Andalucía has more than enough sand for everyone. And many of its beaches feel a million miles away from the heaving resorts of the Costa del Sol. The fine sands of Playa Mónsul, tucked into the Cabo de Gata Natural Park, can only be reached on foot – a fact that keeps it, and the even more secluded Media Luna Cove, blissfully unspoilt. 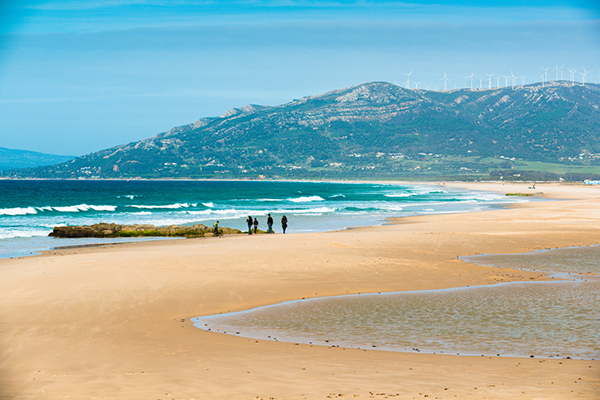 Tarifa, the region’s windsurfing and kitesurfing capital, is an atmospheric tangle of streets that stretch out towards its broad, windswept beach. Even if you aren’t here for the watersports, it’s worth it for the hazy views of Morocco across the water. Travel further along this wild coastline towards Cádiz and you’ll reach Bolonia, a little settlement that’s home to one of Andalucía’s best beaches. Here a long stretch of sand is backed by pine forest, golden dunes and a sprinkling of beach bars. Most surprisingly though, this is also the site of the Roman ruins of the settlement of Baelo Claudia. Further west, Playa Cuesta de Maneli, is another impressive swathe of dune-fringed sand, and one that you’re likely to have much to yourself.